Archive by category "Auto Transport Broker Resources"
Looking for tips on how to increase your Auto Transport Brokerage sales? 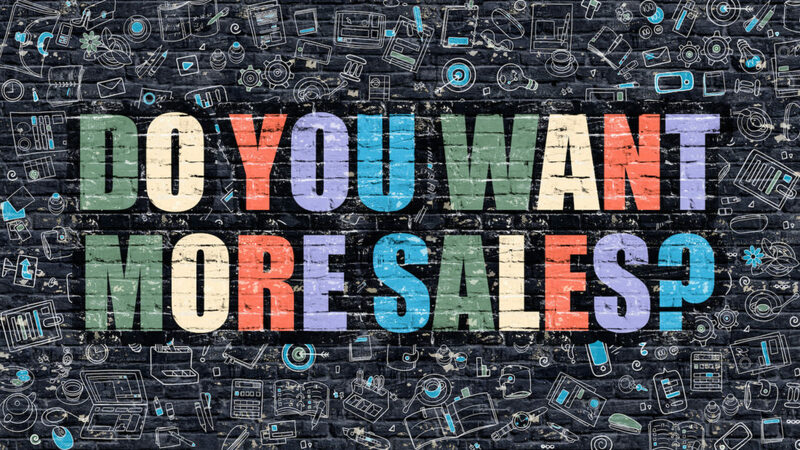 Look no further, we will give you 10 tips on how to turn your leads into sales! Once you sign up for our high quality leads program, now it’s time to turn those leads into money making sales. Here are 10 helpful tips to successfully working your car shipping leads for your auto transport brokerage. Quote Email Design. Take the time to design a professional, easy to read, eye-popping quote email and follow up email. Consider your emails an extension of your sales team. You have two options in reaching the customer, by phone and by EMAIL. Don’t just use the “cookie-cutter” generic email that comes with your software, take the time to put together your original quote email. Incorporate your logo, develop your brand and slogan for your auto transport brokerage, make the quote price bold and easy to find. Rather than huge bulky paragraphs no one is going to read, consider doing a bullet point list with the top 10 reasons why they should book with you. Don’t forget to include a call to action, like a place order button, or a call now option. Most importantly, TEST your quote email, and make sure it does not go to spam! When you are a customer of iMover Leads we go above and beyond. You are always welcome to call our office design team at iMover Leads to help you with any quote email design questions that you have! Immediate response. Respond immediately to online auto transport leads. Smart phone technology allows agents to respond to email immediately. Make an effort to respond to queries within 5 minutes. Responsiveness fosters positive client-agent relationships. If the contact provides a phone number, call them ASAP. The sooner you begin a personal relationship with potential customers looking to transport their vehicles, the more likely they are to choose you as their transporter. Don’t Play Games. Your goal should be to ship their vehicle and earn your deposit fee, the fair and honest way. Playing bait and switch games, low-ball quoting, charging credit cards and not shipping cars, and fighting charge back claims will put you out of business and destroy your reputation. Quote the customer a fair and accurate price using comparables on central dispatch or price per mile calculators, including your broker fee. If your customer is a receiving a “low-ball” quote, explain that if it looks too good to be true it probably is. Explain that you are in the business of shipping cars, not just collecting people’s deposit fee’s and posting unrealistic prices on the board so they sit and never move. Educating the customer on the process is a much better way to go than playing bait and switch games. Here are more tips on how to quote your auto transport leads. Be specific. Don’t waste the client’s time with bland generalities. When prospective customers contact a auto transport brokerage company, they’re looking for specific information and they want it now! Respond to each lead with detailed information about their auto transport. Providing links to helpful articles and checklists on your website is a fast way to answer questions and cement your reputation as a knowledgeable expert. Get personal. Make use of social media to build personal relationships with clients. Twitter, LinkedIn and Facebook contacts humanize you, encouraging a friendlier relationship. You never know when they will need to ship a vehicle in the future or have a friend or family member that needs a car transported. Have them like your page on social media to keep in touch. Be Positive. Customers like up beat, easy to work with sales people. Leave the drama for your mama! Don’t throw other broker competitors under the bus, and bad mouth them. When you talk bad about someone else, it leaves a bad taste in the customers mouth, and makes them question if they even want to ship their car. Don’t scare them, just inform them, and encourage them to do their own research. Be Honest, Professional and Courteous. Your reputation is everything, so don’t do anything that could possibly tarnish it, or acquire a bad review. Think about your long term strategy, building a brand and company you can pass on to your children. Lying, being rude on the phone, and cheating customers will destroy your reputation. Be Accessible! #1 complaint I hear from customers about auto transport brokers is, “I can never get ahold of them.” Make yourself accessible and easy to get ahold of thru text, email or phone, and respond in a timely manner. Remember, your goal is to ship their vehicle, and obtain a positive review, and hopefully a referral from them someday! So what are you waiting for? Take what you know, and what you have learned, develop a solid sales strategy approach, hit the phones and email and go turn some leads into orders! It’s time to take your business to the next level, and have the successful Auto Transport Brokerage you’ve always dreamed of! For more information about how our auto transport leads work, give us a call (888) 221-6602, or if you are ready to pull the trigger and sign up for our leads click here to apply online. Make more money with your auto transport business by learning how to ship a car overseas to Hawaii, Guam, Alaska and Puerto Rico. It’s really that simple! Offering your customers auto transport quotes on shipping a car overseas is a great way to make additional money as an auto transport broker. 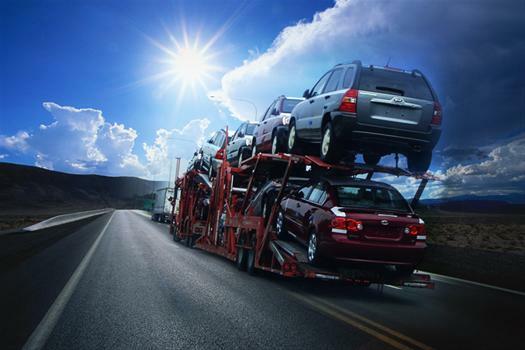 If you already have an auto transport brokerage, then you are already 95% on your way to shipping cars overseas. Read below to learn the next 5% on shipping cars overseas. If you are not a licensed auto transport broker, click here to how to start an auto transport business, then come back to this page to learn how to ship vehicles overseas. With an active DOT FMCSA MC#, you have the authority to act as a transport broker and ship cars all throughout the united states, and now with our tips overseas! 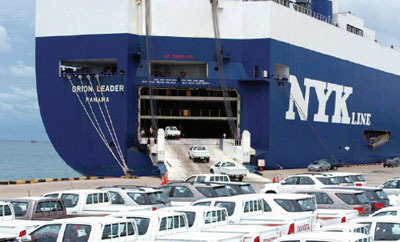 Shipping a car overseas is really no different than regular continental auto transporting. It does not require any additional licensing, all you need is a computer with internet access and a phone and you are ready to ship cars overseas. That’s it….they take it from there! Now you have made money on both sides of the deal: broker fee for getting the car to the port, and broker fee for referring them to the Port Shipping company. Very simple and easy, no additional work! You don’t have to handle anything with the oversea shipping, it’s just a matter of handing them over “referring” them to the Port Shipping Company, and then you get a “referral fee” for just emailing them your customers information! Definitely worth the 5 minute call to get set up! Now you know How to Ship a Car Overseas! I highly recommend that you get signed up with the following companies to get their auto transport broker preferred shipping rates. * Here is a breakdown of Matson’s Rates. Many auto transport brokers nationwide are make additional money by shipping cars overseas. From what other brokers say, these are “Slam Dunk” deals, a great opportunity to make more money! Call us today at (888) 221-6602 and sign up for one of our auto transport leads packages and start receiving overseas auto shipping leads! Are you a auto transport broker, and currently using software to manage your leads? 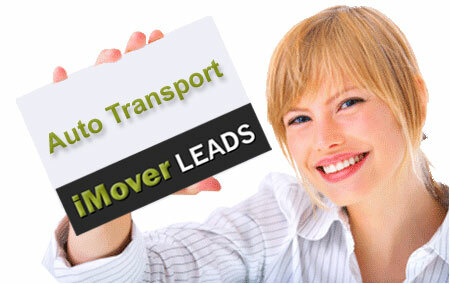 Are you looking for help on how to add iMover Leads as your auto transport lead source in your broker software? If so, you’ve come to the right place. As the preferred auto transport lead source for hundreds of brokers, we are integrated with all the major auto transport software programs, Jtracker, Megabee, Auto Transport Plus, Auto Broker Dispatch, Granot or any other customer auto transport software program that manages your auto transport lead sources and orders. If you would like to purchase auto shipping leads from iMover Leads, and receive them automatically in your software program of your choice, simply let us know what software program you are using, and we’ll make sure we send your leads to the right place. All we need to know is what email address we should send your car shipping leads to. Each auto transport software program will have a “unique” email address for us to send your iMover Leads to. Step-by-step instructions on how to add iMover Leads as a auto transport lead source in your Jtracker broker software. 1. Log into your Jtracker account, and click on Manage Dropdown box, all the way to the right on the black navigation bar. 7. Copy and paste this email address in an email to info@imoverleads.com, or better copy this email address back into the online application form. 8. That is it! Then we will take it from here, and make sure your leads are sent to the right place. If you want to receive leads in your Megabee, Auto Transport Plus, Granot, Auto Broker Dispatch or any other software program, you simply will need to contact your software provider, and let them know that you want to start receiving leads from iMover Leads, and then they will setup a “email parser account” for you, and then give you your “unique parser address” for your iMover Leads. Once you receive this unique parser email address, simply email this to info@imoverleads.com and then we will take it from here, and make sure your leads are delivered correctly to your software. As always, please call or email us if you have any questions (888) 221-6602! So you are thinking about starting a auto transport business. Before you get started you should read our Getting Started Checklist, this is a helpful guide on how to start a auto transport business, we encourage you to also visit the FMCSA Broker Authority website as well for more information. Lastly, if you are looking for someone to teach and guide you through the entire process we recommend our friends over at relogeek.com and reloacademy.com. They are your 1 stop shop to help you navigate through the auto transport business world! In general companies that operate as “for hire” carriers (for a fee or other compensation) that transport passengers or federally regulated commodities, or arrange for their transport, in interstate commerce are also required to have interstate operating authority, or a MC#. There are 3 things the Federal Motor Carrier Safety Administration (FMCSA) requires to become a broker. You must file an OP-1, a BOC-3 and you must fulfill the $75,000 surety requirement by filing either a BMC-84 or BMC-85. 1. You must file an OP-1: Application Form with the FMCSA, and register online with the Federal Motor Carrier Safety Administration. The OP-1 is a federal form you must file in order to get your temporary broker MC#. Once you have met all the requirements this will become your permanent MC#. This can be filed on your behalf by a permitting service or you can file this online yourself with the FMCSA. 2. File a BOC-3 Form: This is the filing for your process agents for service of process. It lists an address within each state where legal paperwork may be served to your brokerage and then forwarded on to you. All American Agents of Process can help you get started with this for a one-time low fee of $50. 3. File a BMC-84 or BMC-85: A BMC-84 is a bond issued by an insurance company and a BMC-85 is a trust fund agreement issued by a financial institution such as Pacific Financial Association, Inc. Although, either one fulfills the surety requirement for your brokerage, your interests are better protected with a BMC-85. A trust fund’s biggest advantage over a bond is the control that you have as a broker. When a claim is presented against a trust you are notified immediately. If you can provide a valid reason why the claim should not be paid it won’t. When bonding companies receive a claim they will make the decision for you. They may not even contact you. We believe that since this is your company and your money, you should have a stake in the decisions. The FMCSA will not make you active to broker until you file your BOC-3 and your surety requirement has been filed on your behalf. It is usually 7-10 days after the surety requirement has been filed on your behalf before you will be active to broker. 4. 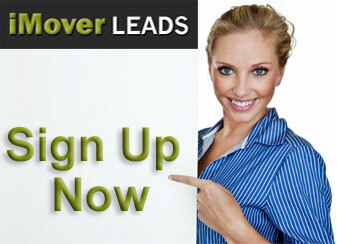 Sign Up to Receive leads from iMover Leads: In order to start making money, you are going to need sales. Let iMover Leads help you get your auto transport business going, by purchasing one of our auto transport leads packages. Click here for more information on how our auto transport leads program works. Now you are on your way to being a successful auto transport broker! 2. Website URL, Design & Email Hosting: iMover Leads can help you purchase a URL, and host your email & website, as well as design a website. Call us for more details. 3. You will need to sign up with Central Dispatch, they are the load board where you will dispatch you cars to carriers. 4. You will need to purchase software to manage your leads & orders, we recommend Jtracker. They are the same company that owns Central Dispatch.